We worked long and hard to create a high quality environment, that would reflect the quality of the club and provide the best opportunity for our members to flourish. Our wall to wall Tatami (Mats) are ideal for all general karate as well as competition practise. This provides a superb environment for sweeps, throws and ground work. The dojo is fully mirrored and also has a host of other equipment on hand to give you everything you need to succeed in karate. 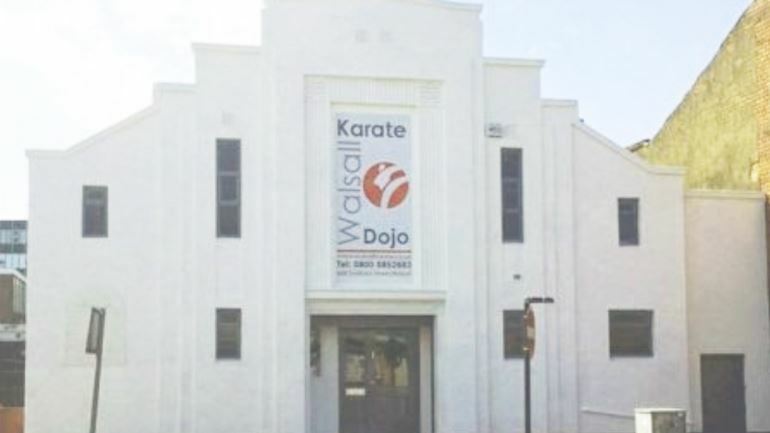 Our second dojo is exactly the same but has a more intimate training feel at 9 metres by 8 metres making it perfect for smaller groups or individual tuition. It also allows us to split classes based on requirements or run two classes at the same time. This dojo is also fully mirrored. Complete with hot drinks, sofas, tables and even a large television, it's the perfect place to unwind or wait. Both dojos are visible from the lounge. Situated close to parking and major retailers and less than 10 minutes walk to Walsall train and bus stations, getting to us is easy. The school serves Walsall students from Bescot, Tamebridge, Bentley, Pleck, Aldridge, Bloxwich, Leamore, Pelsall, Brownhills, Rushall, Short Heath, Willenhall and more. Our classes are so unique and challenging we even have students coming from other areas such as Cheslyn Hay, Great Wyrley, Norton Canes, Hednesford, Cannock, Wednesbury, West Bromwich, Bilston, Wolverhampton, Sutton Coldfield, Lichfield - All over West Midlands, Staffordshire and even Worcestershire and Derbyshire!